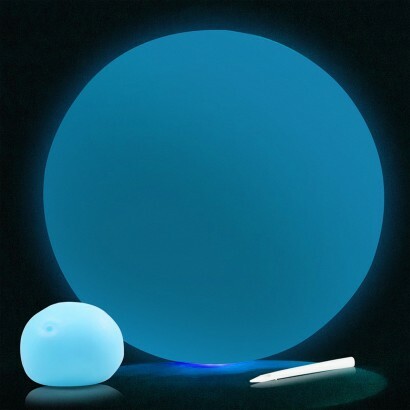 All the fun of a balloon, these balloon balls are light as a balloon but as resilient as a light ball and better still, they glow in the dark too! Inflate up to 25cm using the straw included for a floatable ball and deflate after use for endless play. Allow the balloon ball to charge in the light, and it'll glow brightly in the dark so that you can continue to play long after the lights go out! 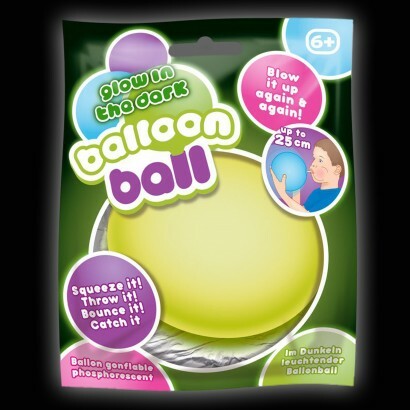 Brilliant fun and ideal for ball games where standard, heavier balls aren't allowed to play!